Assalamua’laikum wbt, and A Very Good Morning. Firstly, I would like to thank the organising committee for their effort in ensuring the success of this biennial event. 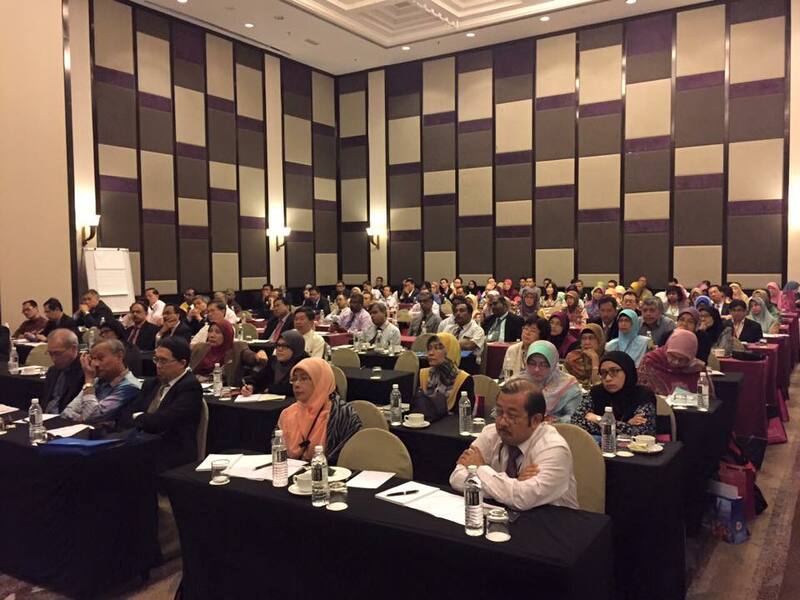 It is my pleasure to welcome all of you to the Medical Program Specialists’ Conference 2015 here in Port Dickson. As we are still in the Aidilfitri mood, I wish all Muslims here ‘Selamat Hari Raya Aidil Fitri’. It has been two years since our last meeting in Melaka. This biennial event is an important forum for us to interact and keep abreast with current issues and knowledge towards achieving an excellent medical and specialists care delivery system. All organisations require human capital to function and accomplish their goals. Human Capital is defined by the Oxford Dictionary as ‘the skills, knowledge, and experience possessed by an individual or population, viewed in terms of their value or cost to an organisation or country’. Managing patient care requires a multidisciplinary team approach, and doctors comprising of housemen (HOs), medical officers (MOs) and specialists alike are the most essential members of the team. Thus the theme of our conference today, ‘Optimising Human Capital and Enhancing Specialist Services’ is pertinent and significant considering that Human Capital is an important component in delivering quality healthcare, particularly specialists. The number of housemen has increased tremendously from 1,059 in 2006, to 2,319 in 2008 and subsequently 4,991 in 2013. As of March 2015 there are 9,502 HOs in the programme. Currently, there are 10,803 HO posts available in the accredited government houseman training hospitals. With the large number of HOs, specialists need to re-engineer their approach to training with existing resources in order to achieve the objective and maintain the quality of the housemanship programme. Staggered appointment of Housemen has been introduced since August 2014 with the intake currently done every two months. In the meantime, the online system e-housemen has been implemented since March 2015. MOH has proposed the introduction of a generic logbook and Certificate of Completion of Housemanship Training (CCHT), which is awarded upon completion of the housemanship training. It is hoped that CCHT can be used to determine the ‘level’ of competency of HOs and in pursuant of future specialist training. Meanwhile, the generic logbook is designed to document common procedures that can be done in any discipline. I was made to understand that these two topics have been discussed in the workshops last night and hope there will be a fruitful outcome. The Honourable Minister of Health is also concerned about the quality of HOs these days, and thus mooted the idea of introducing theoretical assessment during the Induction Course to determine the level of knowledge before the commencement of housemanship training. In addition, to ensure the quality of HOs, MOH has recommended that the minimum requirement to enter medical school be increased from 5Bs to higher grades gradually. Similar to HOs, the number of medical officers has also increased from year to year. As of 30th June 2015, there are 15,388 of MOs serving in the MOH. This accounted for 94% of MO posts being filled as compared to the total number of posts available. Although there are about 900 vacant posts currently, the numbers of MOs in certain states like Johor, Perak, Pahang, Kelantan and Melaka however have exceeded their allocated posts. As we know, more posts are required to cater for the expansion of new facilities, new services and additional workload due to increase of diseases burden, increase in population and demographic changes. The doctor to population ratio in 2014 was 1:661 (inclusive of HOs). However, the doctor to population ratio based on the number of Annual Practising Certificates (APC) was 1:904. In Singapore, the ratio was 1:513 (2014). The ratio in other countries like New Zealand, UK and Korea was 1:365, 1:356 and 1:467 respectively. 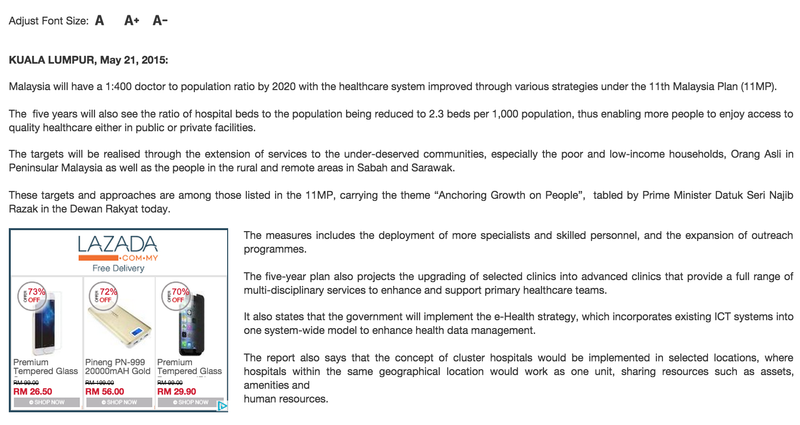 On 14th July 2010, YAB Prime Minister announced that to be on par with other developed nations, Malaysia has set a target to achieve a doctor to population ratio of 1: 400 in 2020. Based on this, Malaysia requires about 87,000 doctors with the estimated proportion of 60% and 40% respectively in the government and the private sector. In the government sector, as 90% are serving in MOH, that will account for 47,075 doctors. As currently there are 26,924 posts, therefore MOH will require 20,151 additional posts in 2020. With the ample number of MOs, there is a need to relook at the ‘work processes’ in every department to optimise the resources. Although postgraduate training focuses on specialist training, MOH also needs to pay more attention to the training of MOs who have been described as ‘the lost tribes of medicine’. Being seniors, specialists should encourage these doctors to enhance their skills and knowledge by attending courses or workshops and guide them to plan their career development. All junior MOs are encouraged to indicate their interests in the field of choice so as to facilitate them to pursue postgraduate training in that area. Those who have passed MRCP/MRCPCH Part 1/Part A must register to the Medical Development Division for appropriate postings, including rotation in selected subspecialty areas. I also urge all senior specialists to inform their junior doctors who have passed the membership exams to immediately report to Medical Development Division; otherwise their gazettement will not commence. It is worth mentioning here that gazettment of specialists will be based on knowledge, skills and competency as well as appropriate exposure, and not merely time based. Specialist and sub-specialist training in various clinical disciplines will continue to be a major concern in order for us to ensure that our nation has the needed numbers to deliver high quality care for individuals as well as population. 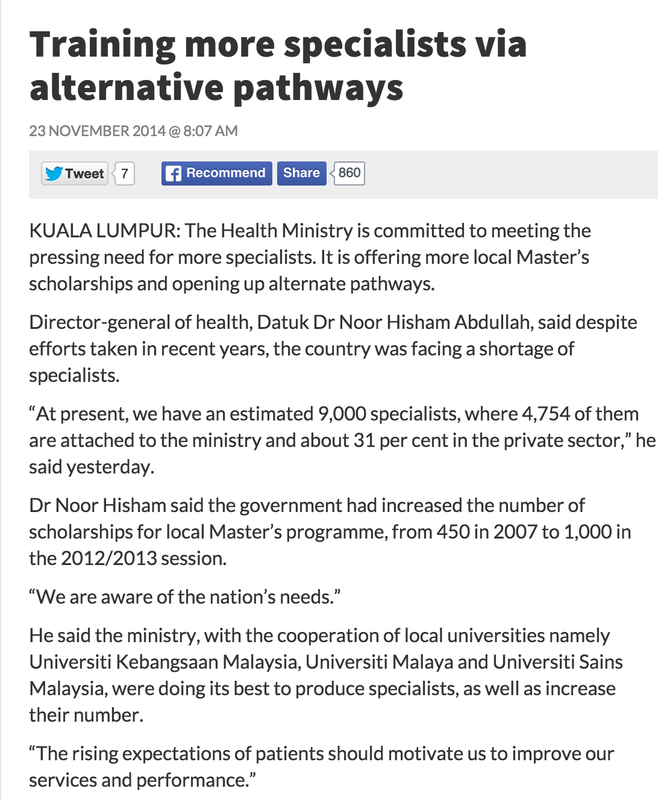 Currently, there are approximately 9055 specialists in Malaysia, out of which 52% (4698) are serving in MOH. Despite notable achievements of the Masters Programme conducted by local universities, the country is still facing a shortage of specialists to meet requirements of our healthcare facilities. The Ministry and the universities face many challenges to ensure the smooth running of the Masters programmes. One of the issues is the low passing rate in some of the specialties. This might be related to the capability of candidates as well as to the very nature of specialist training i.e. the standards are very high and only the best and most determined to sacrifice will make it. Therefore, the selection of suitable candidates who are highly committed and motivated to complete their postgraduate training is of utmost importance. It is important to emphasise on the supervision and monitoring of the trainees to ensure they are equipped with knowledge and skill that befit the specialist. For your information, there are cases of master graduates that need extension in their gazettment period due to competency issues and so far there was one that has failed to be gazetted. In order to increase the number of specialists, MOH encourages MOs to pursue postgraduate training program via various parallel pathways such as the membership program. 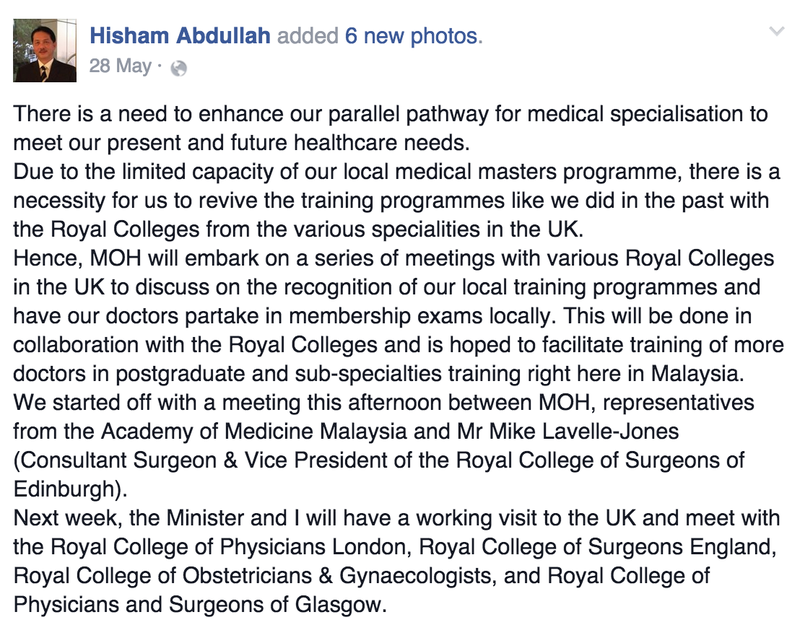 MOH is in the process of strengthening the parallel pathway to make it more structured. YAB Prime Minister, during the PM-Minister Mid Year Review 2014 on 20th August 2014 made the decision that MOH should include the budget or funding in 11th MP for the Parallel System. Through this system, while working with MOH, these doctors can sit for the relevant British qualification/exam for specialist training. The governance of the Postgraduate Medical Specialist and Subspecialist is needed. In the near future, it is hoped that the newly set up dedicated unit of Postgraduate Medical Specialist and Subspecialist (Deanery) under the Medical Development Division of the Ministry will be able to specifically focus on the planning, implementation, promoting, recruitment, monitoring and accreditation of the programmes for clinical specialists. Subsequently, for more effective management of postgraduate training, units could also be set up at the level of the respective state health departments, hospitals and district health offices. 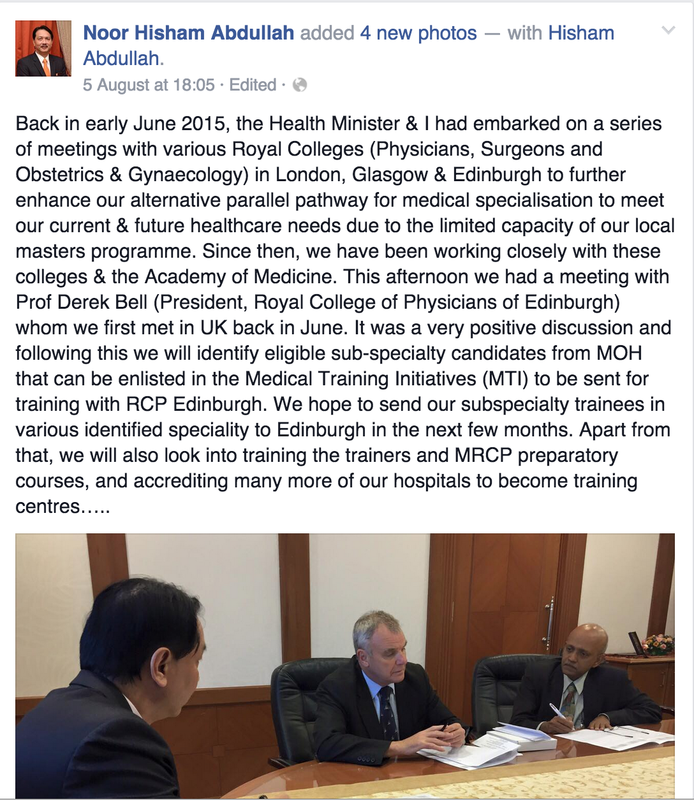 As you all may know, YB Minister of Health and I had recently visited several colleges in London, Edinburgh and Glasgow where they have agreed in principle to train the trainers, accredit our training centres and conduct membership exams in Malaysia. 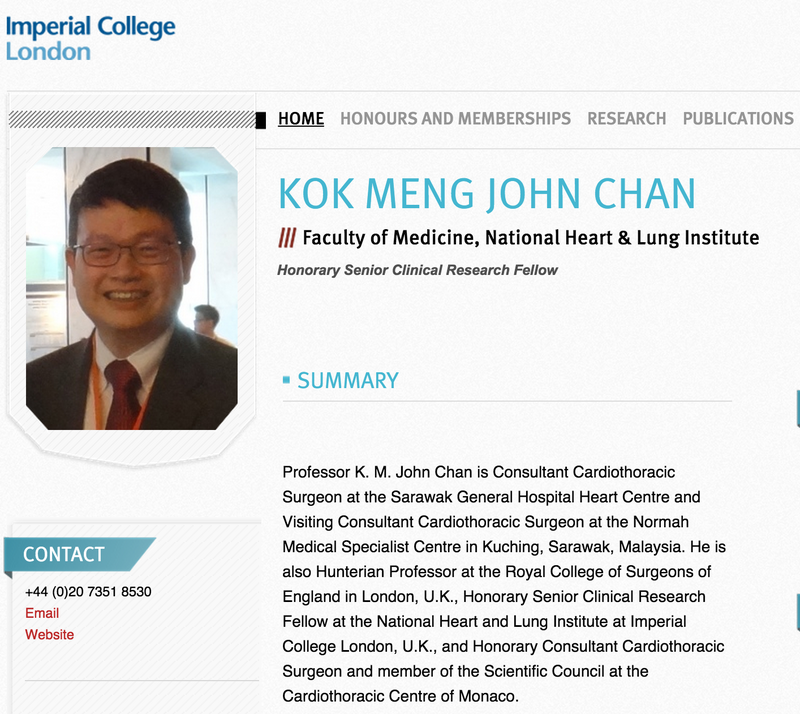 In addition, several MOUs have been signed between the Royal Colleges of Physicians and Surgeons and Academy of Medicine in the field of Cardiothoracic Surgery, Plastic Surgery, Orthopedics and Family Medicine. There are currently 1,415 subspecialists including trainees in MOH. This number accounts for 35% of the specialists’ workforce. With the shortage of generalist, subspecialists working in the bigger hospitals are expected to provide general medical or surgical services. To optimise resources, subspecialists should not confine themselves to their subspecialty area unless the hospital is a designated tertiary centre. In addition, among the existing pool of sub-specialists, a number will resign after completion of their training to work in the more lucrative private sector and this is definitely a great loss for us. 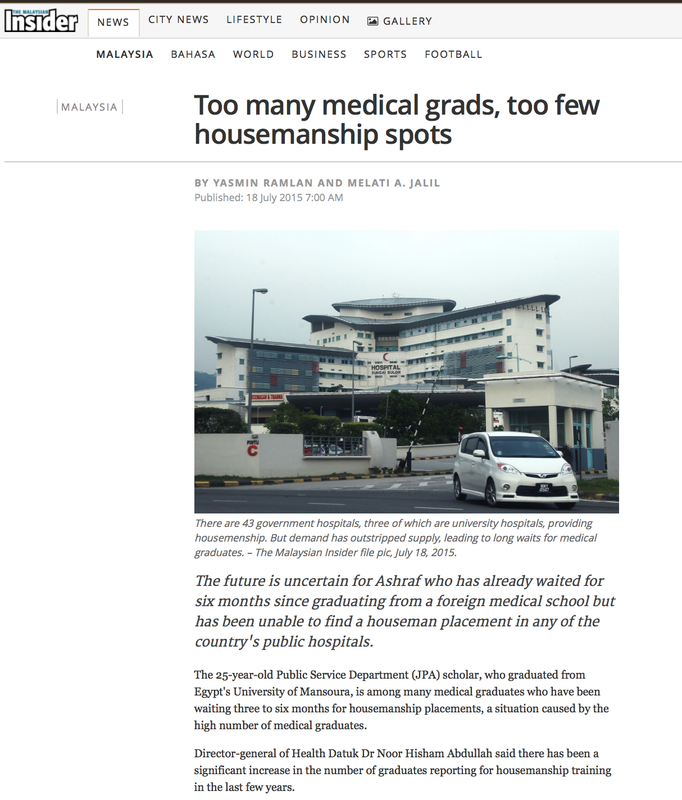 On average there are about 150 specialists who leave MOH annually. As of May 2015, there were 95 specialists that have resigned, out of which 25% are subspecialists. Notably in the 11th Malaysia Plan following the amendments to the Medical Act 1971, all specialists are required to be registered with the National Specialist Registry in order to practice as a specialist in that particular specialty. They have to gain certain years of experience before they can be registered in the NSR, thus it is hoped that the number of resignation will be reduced once this Act is being implemented. The subspecialty-training programme needs to be enhanced. Subspecialty training should be structured, monitored and adequately supervised with the possibility of an exit assessment for all areas. While there is no denying the importance of developing subspecialist services to enable us to handle the small percentage of highly complex cases but it is crucial to strike a balanced mix of generalists and subspecialists. The trend in developed countries is to train generalists with subspecialty interests. At best, subspecialty care only offers organ-specific, intermittent and episodic care. On the other hand, the vast majority of patients need general and continuous care, which can only be provided by “generalists”. Specialists including subspecialists play an important role in ensuring the quality of medical services provided by MOH. Thus, specialists should place quality of services and safety of the patients as the highest priority. Senior specialists also need to focus more on patient care and not only administrative issues. Never neglect your patients and let the juniors manage the patients on their own without direct supervision. I would like to see our specialists be the benchmark for other categories of staff such as house officers, medical officers, nurses and others in providing clinical services to the patients so that we are able to create an effective clinical team. As a specialist, it is important for you to be a team leader and provide leadership in order to ensure effective clinical governance with the emphasis on quality of services and patient safety. This includes good medical practice; evidence-based clinical practice; continuing professional development; and patient, family or community participation in decision-making. All of you need to play your role as specialists to ensure patient management is being carried out effectively. This will include doing daily, teaching and grand ward rounds to review complicated cases and new cases especially during on calls. Apart from the above tasks, specialists are also required to conduct research and be actively involved in training of junior doctors including HOs and Allied Health Professional. In-patient services requires the 24 hours management of patient care by healthcare providers particularly specialists as a team leader, thus the need for specialist to be on-call. For a department that has more than one specialist, the specialists including the Head of Department (HOD) have to do calls on rotation basis. There will be only two tiers of on-call practiced for these departments i.e. specialist and consultant, hence there is no specific HOD call. Likewise for a department that only has a single specialist; he or she has to be on-call daily, which is usually a passive call. It is crucial that the on-call system be managed with integrity to ensure patient safety. There should not be too many tiers and for each tier the number of specialist on-call must be in accordance with the need and workload. Some departments do not require active calls. Some subspecialty services in smaller hospitals do not require a dedicated subspecialty calls. Many have suggested that we should relook at our on-call system, working hours and so on. I am open to any constructive suggestions that may help to improve the life of doctors and others in the healthcare profession. Some have suggested that MOs also work on flexi hours. 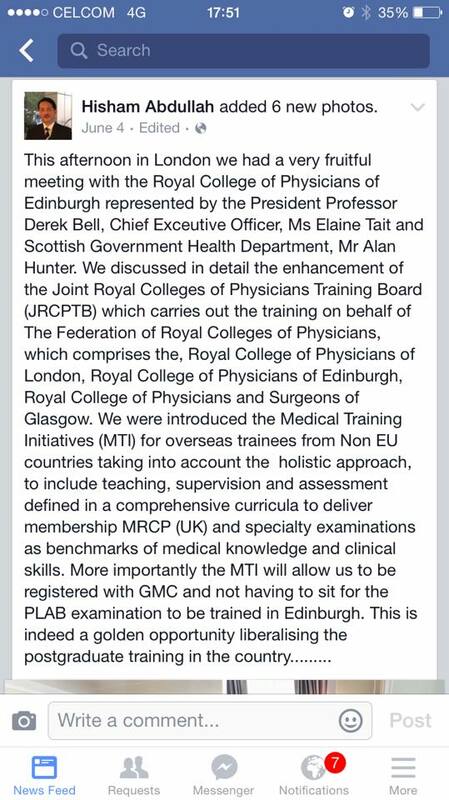 However if we were to implement this, we will need more MO posts and the on call allowance will be removed. I believe that many hospitals allow post calls off for medical officers as soon as they finish their passing over. We might consider call sharing where 2 MOs share their calls and each does half of the call every time they are put on the roster. This concept has been implemented in Australia and we need to explore the possibility in doing it here. For those who are on call, make sure you are in hospital and actively review patients and not giving consultations from home. Currently there are 953 (23%) specialists who have been promoted to Gred Khas with 48 on Gred Khas A, 140 and 765 respectively in B and C (inclusive of those appointed on contract basis). The promotion exercise will take place when there are vacancies and the posts are very much limited. 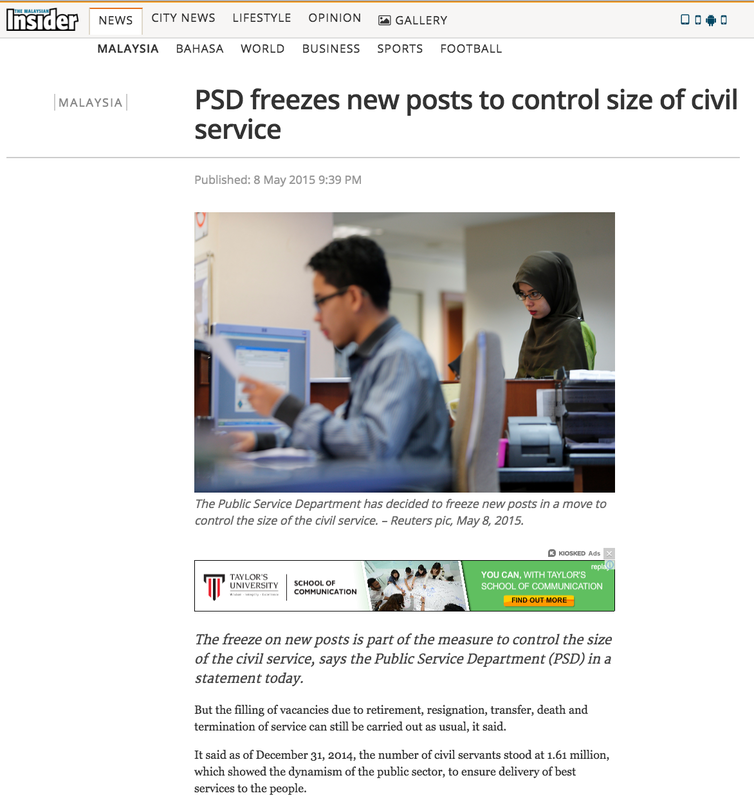 The Public Service Department has decided to freeze new posts in a move to control the size of the civil service. There are various criteria that have been identified for the promotion to Gred Khas and not merely the seniority or time based. Other important factors that are being taken into consideration include those who have shown exemplified excellence, those serving the periphery of Sabah and Sarawak and also those with critical specialty and subspecialty. In addition, we also need specialists who are not only good at local level but also recognised at the international level. 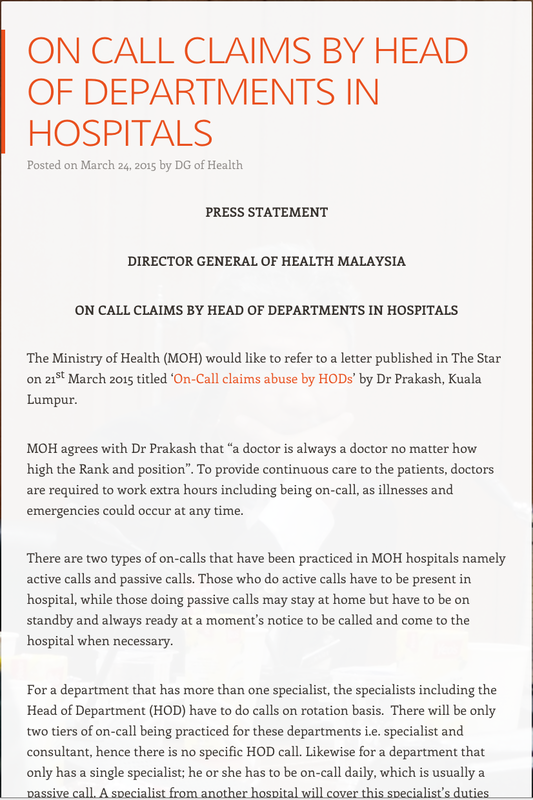 It is hoped that MOH can promote those who are well deserved but looking at our current situation; it might be a bit difficult. I understand the frustrations, as it was a long wait for some of you. Due to constraints on promotional posts, MOH has proposed to JPA to consider giving some perks to senior specialists particularly to those on Grade UD53/54. Great efforts have been made to provide better service schemes and remunerations to encourage doctors to continue serving with the government. Year after year MOH has strived to offer better career pathways for doctors and specialists including faster promotion, increment of specialist and on-call allowances, full paying patient, Saturday elective surgery, privilege to do locum etc. Consequently, it is hoped that all these advantages would encourage the specialists to work harder and give better services to the patients as well as better guidance to the juniors. As the medical practice has become more complex, doctors’ attitudes are also changing. Doctors remain ‘professionals’ but the traditional image of what this means in practice – a selfless clinician, motivated by a strong ethos of service, caring and compassionate is increasingly eroded. Doctors are perceived to be pursuing their own financial interests, and fail to self regulate in a way that guarantees professional competence. There has also been a disturbing change in the attitude among doctors, relating to ethical integrity, professional values and behaviour causing not only serious medico legal problems but also disrepute to the profession. Doctors are not only required to be technically competent and knowledgeable in the field, but they are also required to embrace the appropriate ethical beliefs and act in a professional manner. MOH has produced a Specialty and Sub-specialty Services Framework, which serves as a key driver in leading the path for infrastructure development as well as resource management and allocation. 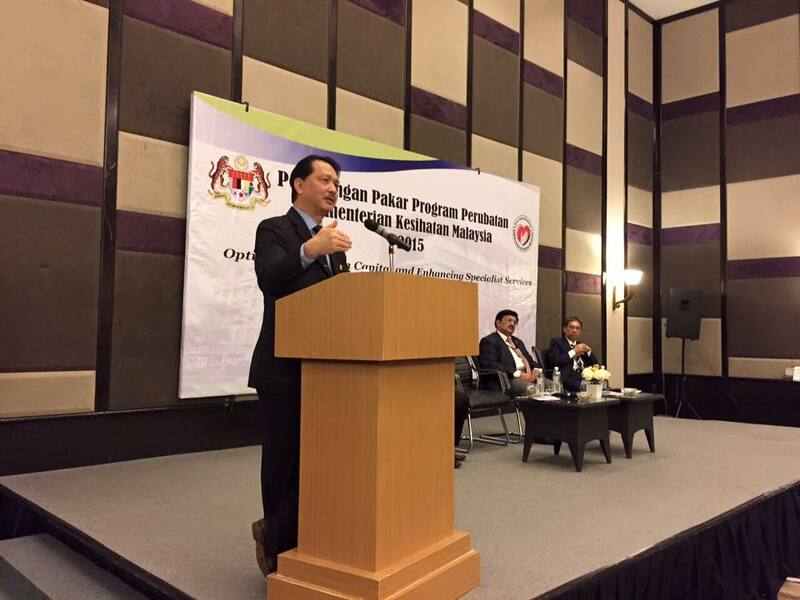 The target is to provide 10 basic specialty services in minor specialist hospitals, 20 specialties in major specialist hospitals and 45 specialties and sub-specialties in the state hospitals and also 26 specific subspecialty services in each of the 6 zones in Malaysia. So far, only 74.4% of the regional centres have achieved the target of providing the 26 subspecialty services listed in the framework while 79% of the state hospitals are providing the 45 specialties and subspecialties listed. However, only 65.7% of major specialist hospitals and a mere 31.85% of minor specialist hospitals have managed to reach the set target. MOH also plans to upgrade 4 services such as geriatrics, neurology, palliative care and uro-gynaecology from regional services to be provided at state hospital levels to meet the demands of the ageing population. We have also planned to establish the National Centre of Excellence for Specialised Clinical Skills to enhance the clinical skills of health personnel. 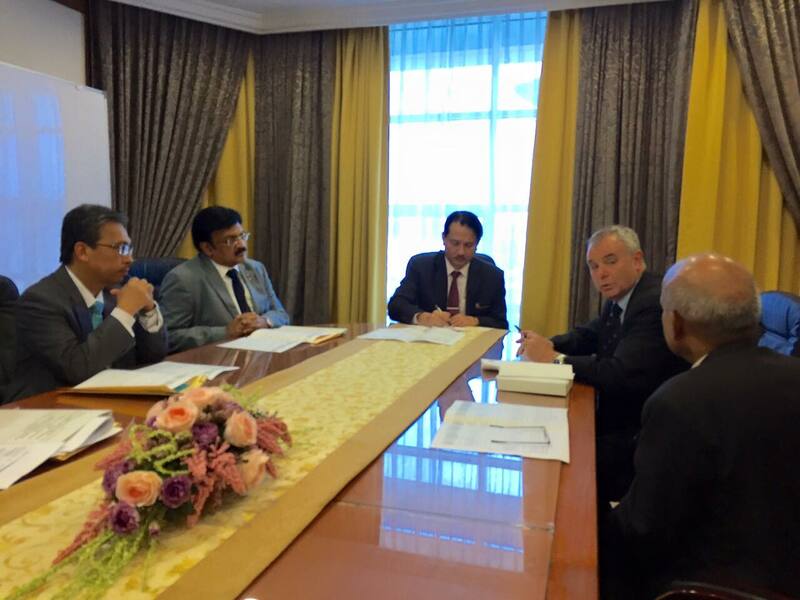 In order to face the challenges in optimising resources, the cluster hospital concept has been introduced in 3 states – namely Melaka, Pahang and Sabah. It has been proven to show positive results; hence the decision to expand the project on a national scale. 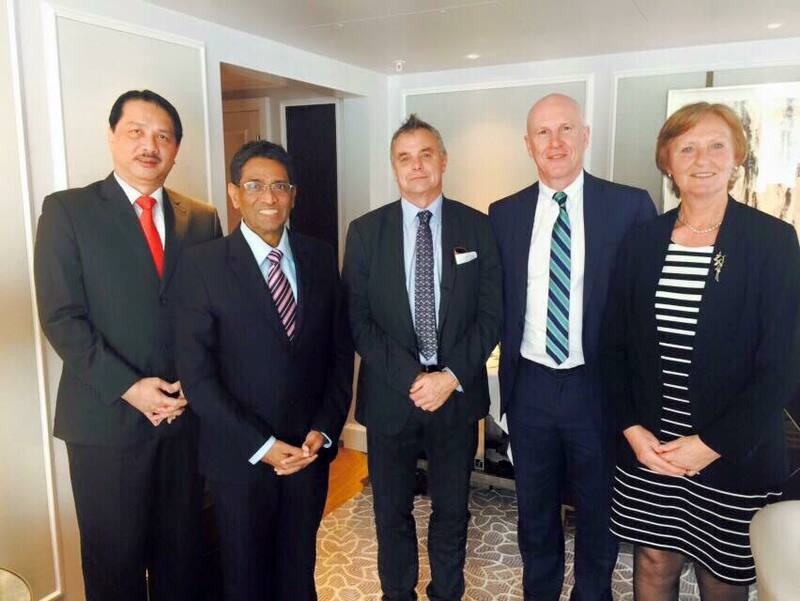 Clinical leadership at non-specialist hospitals will be strengthened through the hospital cluster concept whereby hospitals within the same geographical location will work together as a unit, share common resources such as assets, amenities and personnel for betterment of patient flow and reduce waiting time for specialist treatment. Some of the factors that limit the development of specialist services include budget constraints especially in procurement of expensive equipment and facilities as well as support team. There are also shortage of specialists in certain hospitals and specialties due to maldistribution because many refuse to serve in remote areas. We have to realise that not only the clinical care of patients is important, but ensuring accuracy and completeness of the clinical documentations are equally essential too as it is also a medico-legal requirement. Efforts are also being initiated to include or consider Percent (%) Accuracy of Clinical Discharge Documentation, which the Casemix Unit in Medical Development Division will monitor regularly and any recurrence on shortfall should be followed up with Root Cause Analysis. All Heads of Departments and Hospital Directors must play their role. 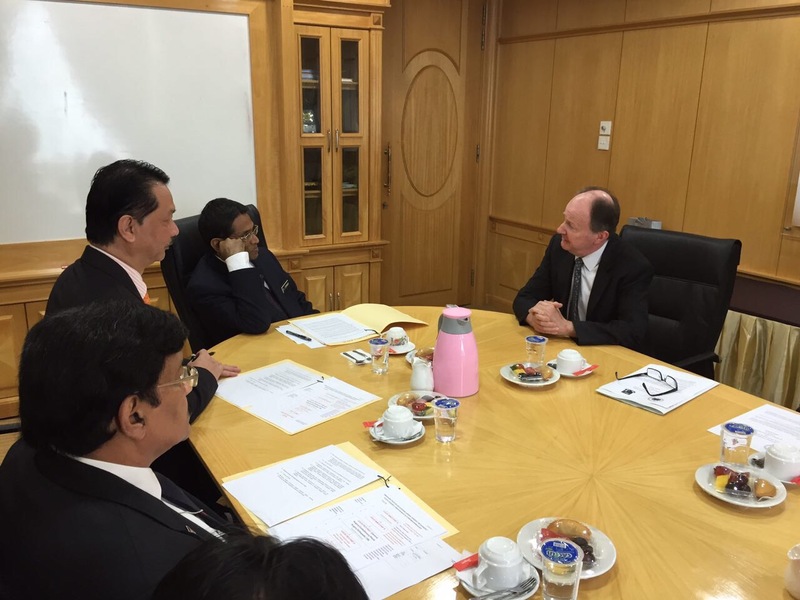 Any national issues must be discussed further with the Medical Development Division. I also would like to inform that the audit on the clinical documentation accuracy is under the realm of the Hospital Director, as well as all the Heads of Clinical Departments. To make the effort a rewarding activity, the audit activity has to be conducted at a regular interval, at least twice a year and will be followed up by the Casemix Unit. I urge that all of us, the Senior Doctors, to accomplish our obligation in patient care by monitoring (keep in check) the level of accuracy on the discharge clinical documentation, so as it will attain an overall achievement of more than 70% for every clinical department. I am pleased to note that one session at this conference has been dedicated to the discussion on casemix. Human Capital is an important component in delivering quality healthcare, particularly specialists. As we aspire to become a high-income nation in 2020, our healthcare system needs a medical workforce capable of adapting to change in service needs and the future generations of doctors must have greater understanding of the aspirations and expectations of rakyat. Doctors must therefore be competent with the relevant knowledge and skills, in addition to the right attitude as well as capability to work as a team. Optimising human capital must be implemented through various strategies, among others through training, delivery of quality service including casemix, innovations such as lean management, cluster hospital concept, NBOS, research, and with good leadership and integrity. On this note and with Bismillahhirahmannirrahim, it is my great pleasure to declare the Persidangan Pakar Program Perubatan KKM 2015, open. I am sure your participation in this conference will be both useful and rewarding.